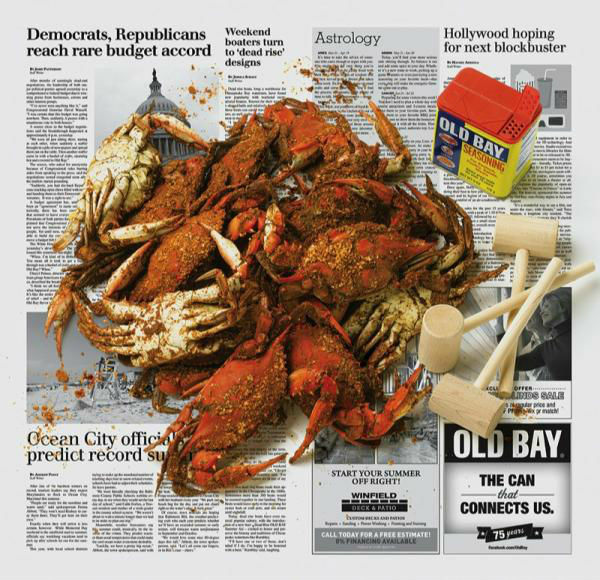 Old Bay advertisement in the Baltimore Sun, 2015. German-Jewish immigrant, Gustav Brunn, and his family fled Nazi Germany and settled in Baltimore in 1938. Before leaving Europe, the Brunn family ran a successful fur and rawhide business, often selling spices on the side. When the value of the German mark plummeted in 1923, the fur business became unstable, and the family turned to spices for their primary income. Their business was wholesale, selling seasonings and spices to food industries. As the Nazi Party rose to power, Wertheim, their hometown, became an unfriendly place for Jews, and the Brunns moved their shop to nearby Frankfurt, where there was a higher Jewish population. According to Gustav Brunn’s oral history, cataloged at the Jewish Museum of Maryland, the family did not encounter many problems with Nazi soldiers or sympathizers, although they “had to look left and right that no Nazis were nearby and [would] hear something [they] were talking about.” That was until the night of November 10, 1938 and a massive pogrom against Jews in Germany and German-occupied lands. Because of the property destruction at synagogues and Jewish-owned property, the night became known as Kristallnacht or the “Night of Broken Glass.” That night Brunn was one of approximately 30,000 Jewish men arrested, and then Brunn was sent to Buchenwald concentration camp. Fortunately, the Brunns had already applied for and received their American visas at this point. According to their son, Ralph, after 16 days in the camp, Bianca Brunn, Gustav’s wife, paid a lawyer a large sum of money to secure Gustav’s release. Ten days later, they left with their two children for New York City, and then moved to Baltimore, where Brunn already had family. Gustav and Bianca Brunn. Image from Jewish Museum of Maryland. With a background as a spice merchant, Brunn found work making seasonings at a sausage factory on Lombard Street in Baltimore, but that was short lived for presumably prejudice reasons. He turned to a group of Jewish men and philanthropists, which included Aaron, Meyer, and Julius Straus, who were helping refugees find jobs. One of them introduced Gustav to Charles McCormick, who was at the time very interested in breaking into the wholesale sausage spice business, an industry that Gustav knew well. McCormick hired him on the spot, but again, Gustav was let go quickly, this time attributed to his lack of facility with English. After these setbacks, Meyer Straus encouraged Gustav to set up his own shop, and Brunn did. He opened a store at 26 Market Place just across from the Baltimore Wholesale Fish Market. The business, the Baltimore Spice Company was in a good location and dealt directly with grocers and meat packers, many of whom were German or spoke Yiddish, and with these advantages, Gustav began what evolved into a profitable business. To even better his chances for success, he went to night school to learn English. The industry of World War II kept Baltimore Spice Company afloat. Pepper was nearly impossible to find during the war, so Gustav invented an imitation pepper out of buckwheat. 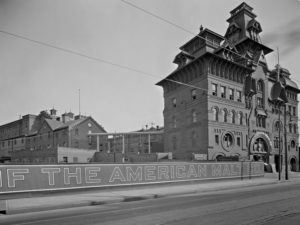 It was incredibly popular, and the Brunn’s spent their days filling large orders for the military. Old Bay Line brochure. Photo from Florida International University. Originally the blend was called “Delicious Brand Shrimp and Crab Seasoning,” but was shortened to “Old Bay,” taking the name from the Old Bay Line, a steamliner which sailed between Baltimore and Norfolk, VA. Some say Old Bay was responsible for a boom in the crab market in the 1940s, and it certainly popularized and elevated steamed crabs. As Gustav grew older, Ralph, took over the business. 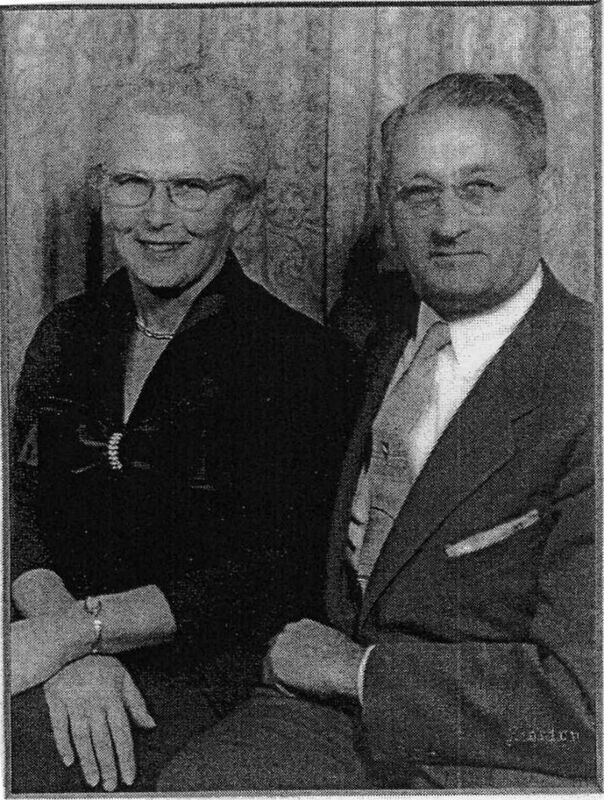 As refugees who had built their business from the ground up, the Brunns maintained this legacy by continuing to hire refugees, describing the company as “a United Nations in miniature.” For some employees, it became the launching point for their careers in America, allowing them to learn English and the necessary vocational skills to succeed. 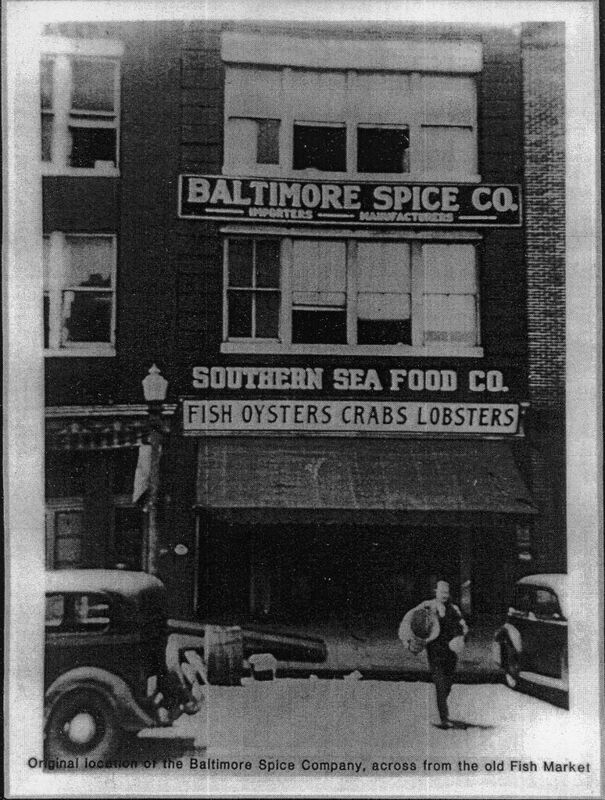 The Baltimore Spice Company was family-owned and run until Ralph Brunn retired in 1985. McCormick bought the Old Bay spice recipe, in 1990 and sells it around the world. 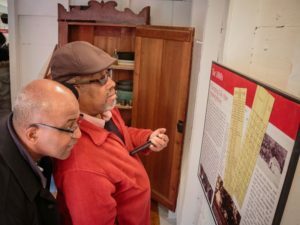 The author Maggie Pelta-Pauls, would like to thank the Jewish Museum of Maryland for giving access to their archives for research for this blog. She is Waxter Intern with Preservation Maryland. 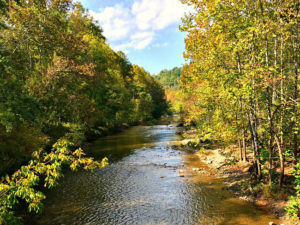 A graduate of The College of William and Mary, Maggie is primed to research and write about Maryland history – especially culinary history. Learn more about Maggie and our The Waxter Memorial Internship program here: presmd.org/waxter.